spank me Holy moly, this has some kick to it. Your nose is hit with great power by chocolate, orangepeel, bakingspices and a note reminiscent of danish pastry. Nice A very good rum indeed. Smooth, not overly sweet with a nice and slightly dry complex finish. Let it breath a bit in the glass, to open up the palate. Nice This is one of the more interesting Oliver rums. The nose has some power with notes of caramel, banana, vanilla, deep oak and a hint of black pepper. The flying dutchman The intensity level of the nose is wild with notes of acetone and wooden lacquer supplemented by mellow ripe tropical fruits and tarlike barrel notes. Flavourfull Nice amber in the glass with a very grassy and delicate nose. Notes of green apples, unripe peaches, cask and a hint of vanilla rise from the glass. 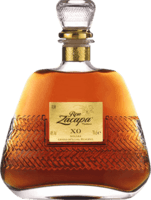 lovely and easygoing Light golden, sweet, caramel rum with some vanilla and banana aroma. Goes down easily. 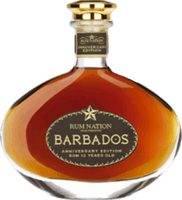 I have a soft spot for barbados rum. 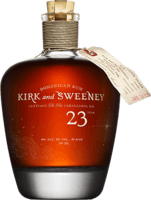 Creamy Initially a lovely rum with a creamy coconut/vanilla palate but not very refined and with a slightly alcoholic finish. Acquired taste It fills your nose with a full bodied, slightly oaky but smooth sensation. The first sip is quite powerfull and spicy, with a dominans of oak flavour. Fantastic white Longueteau produces some of the best whites, very sippable and complex. The cane from the sunny Parcelle 1, gives this Rhum a very distinct character. 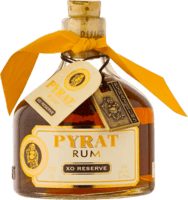 Good value Robust taste for such a "young" rum. It has an oaky caracter with a hint of sweetness. Love the leather pouch. Good rum Very nice and smoothe rum. A balanced sweetness with just a hint of dryness in the finish. Find it a bit overrated though. Ok It's decent but nothing special. It has a dark somewhat neutral character which makes it for ok mixing though. Gimmick This seems more like a souvanere product, than a serious rum. I find the taste leaning towards tequila rather then good rum. Not for me. love or hate Very special rum. An interesting smokey orange flavour, but with a slightly strange aftertaste. Not my cup of tea.